Hannah Villasis: Jergens 7-Day Challenge, Day 5 Blog Giveaway! 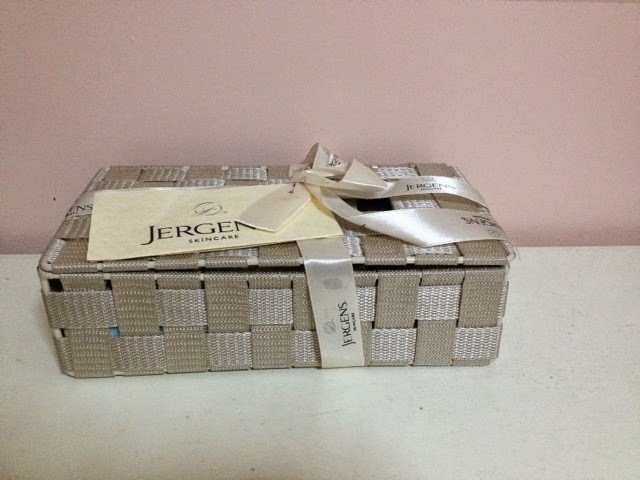 Jergens 7-Day Challenge, Day 5 Blog Giveaway! Unknown10:36 AM 23 sweets for free! "How do you keep your skin beautiful?" I will pick a winner by random and announce this Friday 6pm! Tip of the day: Someone once said that a smile is a woman's best accessory. We believe that, and so is her skin. Apply your favorite Jergens variant twice a day to reveal your most beautiful skin yet! i take care of my skin by using lotion everyday. aside from that I choose a soap that is most compatible with my body. i use face towel to scrub my body. They say that healthy diet, exercise and right choice of lotion and moisturizers works hand in hand to make your skin stunningly beautiful! Listed below are my rituals to keep my skin beautiful and healthy. -I protect myself from the sun- this means that as much as possible, I use sunscreen SPF of at least 15 and wearing protective clothing such as long pants wide-brimmed hats and umbrella. -I don’t smoke because according to research smoking narrows the tiny blood vessels in the outermost layers of skin, which decreases blood flow. This depletes the skin of oxygen and nutrients that are important to skin health in this phenomenon, the skin will look older and and widely contributes to appearance of wrinkles. It is a No No for me from the beginning not only because I want to keep my skin looks younger , it is also a health hazard. -Healthy Diet and Increased water intake I eat plenty of fruits, vegetables and whole grains since fruits and vegetables are not that expensive here in Baguio City. I Drink enough water that keeps you hydrated at all times. A well hydrated body reflects on your skin most times. -I always have my skin pat dried. Pat dry, after washing or bathing, gently pat or blot your skin dry with a towel so that some moisture remains on your skin. -Last but not the least don’t forget to apply Jergens after every shower to have moisturized and hydrated skin all the time. Hi, Thanks for this opportunity. I already sent a message po on your FB Page mam. I'll be waiting for updates on how I can claim the prize po. Yehey! I keep my skin beautiful by always making it a point to take a shower and wash my face thorougly before going to bed, in this way, I eliminate all the dirt and dust I encounter during the day. It makes me feel fresh , healthy and beautiful inside and out. I make sure I exfoliate and moisturize every single day. Winter is so rough on my skin and if I don't keep up with my skincare routine it gets so dry and itchy! Keeping my skin beautiful by drinking plenty of water, washing my face before going to sleep, using lotion or sunblock before going outside. They say that healthy diet, exercise and right choice of lotion and moisturizers works hand in hand to make your skin stunningly beautiful! I protect myself from the sun- this means that as much as possible, I use sunscreen SPF of at least 15 and wearing protective clothing such as long pants wide-brimmed hats and umbrella. I Don’t smoke because according to researchers "Smoking narrows the tiny blood vessels in the outermost layers of skin, which decreases blood flow. This depletes the skin of oxygen and nutrients that are important to skin health" in this phenomenon, the skin will look older and and widely contributes to appearance of wrinkles. Healthy Diet and Increased water intake. I Eat plenty of fruits, vegetables and whole grains Drinking enough water keeps you hydrated at all times. A well hydrated body reflects on your skin most times. I always have my skin pat dried. Pat dry, after washing or bathing, gently pat or blot your skin dry with a towel so that some moisture remains on your skin. Last but not the least I don’t forget to applying Jergens all over my body after every shower to have moisturized and hydrated skin all the time. Have a good 8 hours sleep every night. i've always believe that drinking lots of water is the best way to detox and clear my skin from anti-oxidants that harm it from day to day. partnered with organic products and fresh fruits for a healthy, younger looking skin. How do you keep your skin beautiful?